Till this point it is just like the first step. o The left leg is now landed on its toes into the full mandi position. · Tatta – With the feet already into position the hands alone are strtched completely in katakamukhams facing upward. Stand up and balance on your left foot with the right leg bent at the knee and the foot placed in front of the left knee. o Maintaining the feet as above a the turn is now completed to around 270 degrees. All the four stages are then repeated to the left. 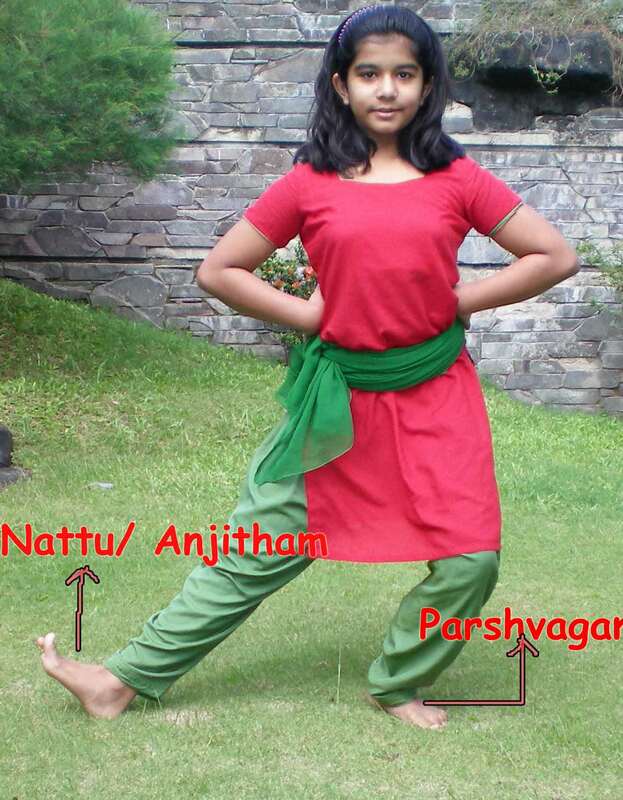 It may be remembered that for the left side of this adavu, the turn is now executed towards the right side with the right leg firmly placed on the floor and the left leg lifted up. Most young students have a trouble remembering which side to turn. Here is something that can help them to remember. For the right side, the right hand and right leg(folded up) turn towards the left. Similary for the left side, the left hand and left leg turn towards the right.